Benedetta and Giuseppe are interesting, passioned and funny teachers to learn from. Very happy that I follow the italian and cinema lessons with them! Silvia is a creative, thoughtful, flexible and patient teacher. Despite having daily lessons over a 3 month period the lessons were always enjoyable and engaging. Silvia taught us more than just language, we learnt about Italian culture, food, cinema, music, politics and history. It was so exciting to be able to watch Italian classics in the original language and follow them because of how Silvia had taught us in class. I couldn't recommend her enough especially to first language English speakers. I'd like to say thanks very much Silvia for Italian lessons.I have lessons in Skype. I with glad to study new words and even began to speak a little) Silvia is a very good teacher and a friendly person. Mi piace tango studiare in questa scuola) grazie mille!!! Ciao. Svetlana. Russia. I started taking Italian classes as a beginner with Silvia three months ago, first onsite courses, before switching recently to online ones. I'm appreciating Silvia's flexibility with my non-regular schedule, her way to diversify each class (discussion, reading, grammar and conjugation)... and I even surprise myself doing my homework... This type of course is really dynamic. I'm also taking online classes with another teacher of Italian Virtual School (Irene), which brings some good complementarity (mostly focused on discussions, with different topics and a different accent); Irene's flexibility in terms of scheduling the online classes is very appreciated as well. I've made good progress so far thanks to both of them. Our daughter Barbara loves having Silvia as a teacher! She has been taking Italian for two years at school and although she could understand the language, the spoken part and grammar were still very approximate. She started taking classes with Silvia 3 months ago and the result is pretty amazing! Barbara can now speak and write Italian and read an entire book. Thanks to the classes she is now able to join a dual language program in her new school. As a teacher, I can only praise Silvia's dedication and determination to challenge her students and to set clear goals for them. Italian Virtual School is amazing! I had taken Italian for a few years in college and wanted to continue studying after I graduated, but finding classes that fit my schedule and my level were tough. IVS gives me the opportunity to keep up and continue improving my Italian with a hectic work schedule. I have been working with Silvia for the past year and I could not be happier. Silvia is an amazing teacher and does a great job of providing authentic material to discuss in addition to grammar and vocabulary topics. I always look forward to our lessons and enjoy having the opportunity to have interesting, stimulating and meaningful conversations. Thanks Silvia! Giuseppe is a wonderful instructor, and I look forward to class with him every week! As a working professional, Italian Virtual School is a great resource because it gives me the flexibility to schedule classes that fit my hectic schedule and allows me to learn Italian from home. Not only is IVS workable with my schedule, but it's also relatively affordable. I'm excited to continue learning Italian with Giuseppe over the next 10 weeks! Ogni lezione e' una buona lezione. Mi piace studiare con Giuseppe. Grazie Silvia e Giuseppe per aiutarmi insegnare la lingua italiana e per la vostra amicizia. 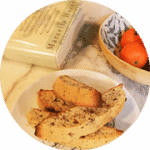 A great way to study Italian from the convenience of your home- with a professional language teacher! I enjoy every lesson I do. Honestly, I would never have thought that making so many mistakes, while learning Italian, would be so rewarding, fun and inspiring. Learning Italian is one of the best decisions I have every made. I am studying la bella lingua with two, exceptional teachers at Italian Virtual School. Grazie mille a Silvia e Giuseppe. Voi sono meravigliosi, gli insegnanti eccellenti e gli amici carini. Perfect choice if you want to study Italian! Native speaking teacher, perfect specialists, good system of education. 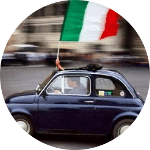 If one is wondering about choosing a school to learn italian, you are in the right place! Very kind, lovely and helpful team! It is amazing how fast is the progress with Italian by this method. Italian language is full of culture and rich. The face-to-face on-line is 3 times faster than usual methods of learning. The teacher is very good (and patient) and the book used as support I like a lot. Thank you IVS team and keep on helping people to learn Italian! Excellent. Very interesting and enjoyable. A wonderful way to improve one's italian. My teacher, Benedetta, is really wonderful! She has been very flexible with hours, given the large time difference, always provides useful feedback and is very interesting to talk with. I would highly recommend the school itself as well - they've been very easy to work with and extremely responsive. 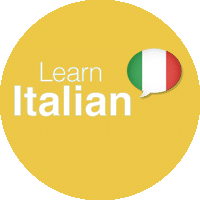 I have been taking lessons for three and a half years now with Silvia and my knowledge and confidence in the Italian language has grown greatly. Silvia is an excellent teacher with a very thorough knowledge of the language. I look forward to many more lessons with her on my road to fluency in the most beautiful language in the world. Grazie mille, Silvia. C'est toujours un grand plaisir de converser avec Silvia. J'apprends à parler sans m'en rendre compte et nos sujets sont toujours intéressants. Je m'instruit tout me divertissant, c'est génial! Giuseppe is great! The lessons are a perfect combination of enjoyable conversation and learning. He explains grammar points clearly and does an excellent job making sure I am the person speaking most of the time. I also like the way he corrects my pronunciation/mistakes in general. Grazie, Giuseppe! Giuseppe è un insegnante molto dotato - divertente e professionale. Imparare l'italiano via Skype funziona veramente bene (secondo me). Grazie ed a presto! It was a great experience and very helpful. I learned so much in a small period of time. I plan to take more lessons with Irene, my teacher, who was supportive, flexible and helpful. Imparare una nuova lingua è molto impegnativo. Soprattutto quando si lavora molte ore ogni settimana. Hard as it can be, I look forward to every lesson. Non vedo l'ora di praticare il mio Italiano in Italia il messe prossimo. I always look forward to my Friday conversation class. There's always something to talk about. Thank you Silvia for the interesting and fun sessions! I had 16 classes and plan to have a few more. It has been a very useful experience, I've improved my fluency and grammar knowledge. Benedetta is a great teacher, knows how to balance conversation, grammar and a bit of Italian culture. And classes are also fun!